AAA members Cathleen Crain and Janine Wedel discuss their reasons for joining the association. Read other testimonials and submit yours today. 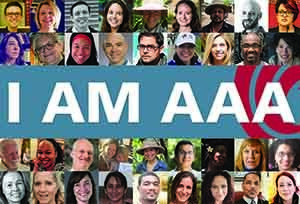 AAA members Emily Mendelhall and Susan Crate discuss their reasons for joining the association. Read other testimonials and submit yours today.